For me, Christmas is all about spending time with family. And is Christmas really Christmas without seeing the joy on a small child’s face as they rip open their Christmas presents? I’ve compiled a list of presents that are great for Toddler’s this Christmas. The popularity of scooters have soared in recent years, and you’ll struggle to have a day out somewhere and not come across someone on one. This scooter is ideal for building confidence and balance in little ones (and can speed up those trips to the park!) With flashing LED wheels, height adjustable handlebars, and available in a range of colours, it will certainly be a hit on Christmas day. I always think books are wonderful presents to give to children of any ages. 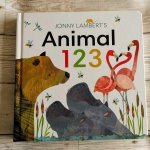 The Animal 123 , and Animal ABC are perfect for helping toddlers develop their counting and vocabulary skills, while admiring the beautiful illustrations throughout the books. 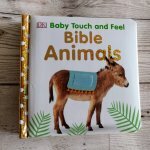 Although the Bible Animals Touch and Feel book is aimed more towards babies, it is still great for toddlers as it teaches them about the animals involved in the Christmas story, as well as other stories throughout the bible. 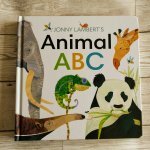 Each page contains cute animals with different textures, sparkles, and great touch and feel patches. 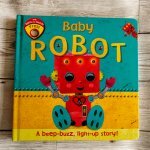 Baby Robot is a fantastic book with 6 different sounds, and sparkling LED lights. The story is easy to follow, and a great sensory toy for babies and toddlers. The simple texts helps little ones understand that we all need some rest to be at our best! 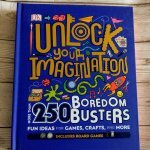 Unlock Your Imagination contains 250 screen free activities to keep your little ones entertained. It also contains four board games and press-out pieces, so you can get started straight away. 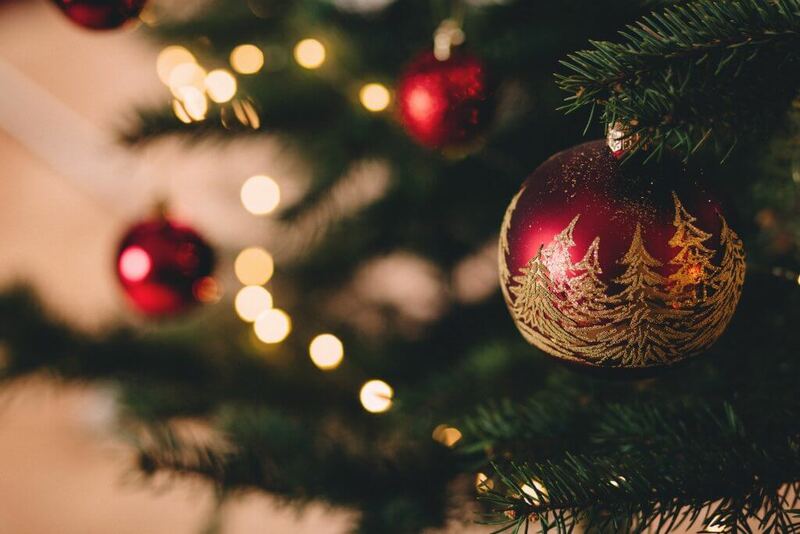 With activities from making edible marshmallow slime to making sock puppets, it’s perfect for boredom busting over the Christmas holidays and beyond. 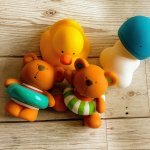 These bath toys from the Little Splashers range by Hape are great for toddlers. They are so fun and brighten up any bath time. The Teddy and Friends Bath Squirts have cute little faces and provide hours of giggles during bath time. 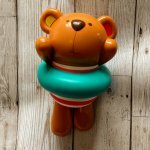 Swimmer Teddy Wind-Up Toy likes to lie back, relax, and kick away in the bath. 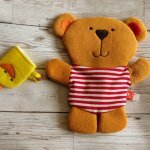 While the Teddy and Duck Bath Mitt Set allows you to wash your little one while they happily wash Teddy with his duck bath mitt. Win, win! 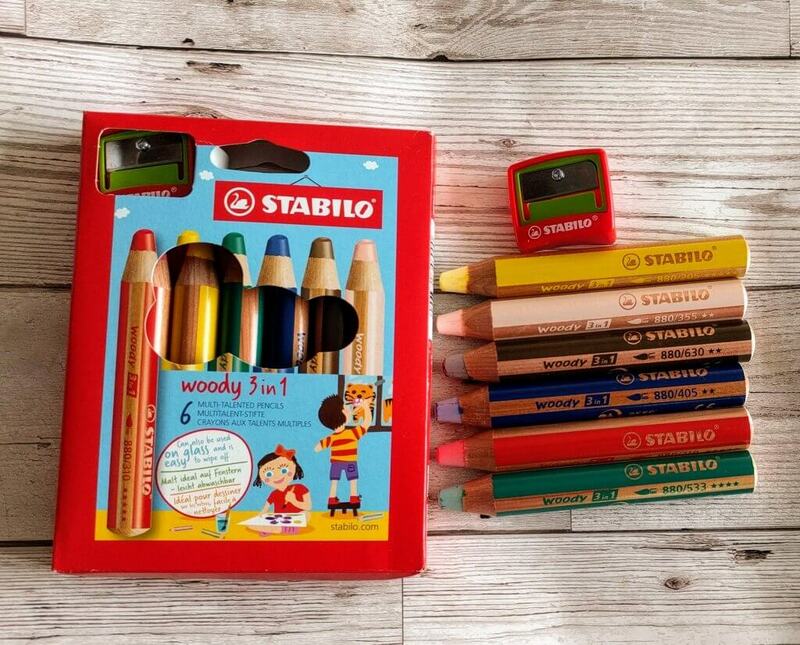 These Woody 3-in-1 pencils from STABILO are fantastic. Not only are they chunky, making it easy for small hands, but they are great for drawing on glass as well as paper! Let your toddler’s imagination run wild while they doodle away on your windows, knowing that they easily wipe off! You can also add water to the drawings creating a beautiful watercolour effect. Not only is it a colouring pencil, and watercolour, but they’re also a wax crayon as well! The Woody 3 in 1 can do it all. If you can find me a child who doesn’t love bubbles, then I’ll eat my hat! (Disclaimer: I won’t actually eat my hat!) This automatic frog shaped bubble blowing machine can produce over 500 bubbles per minute, and will brighten up any child’s day! 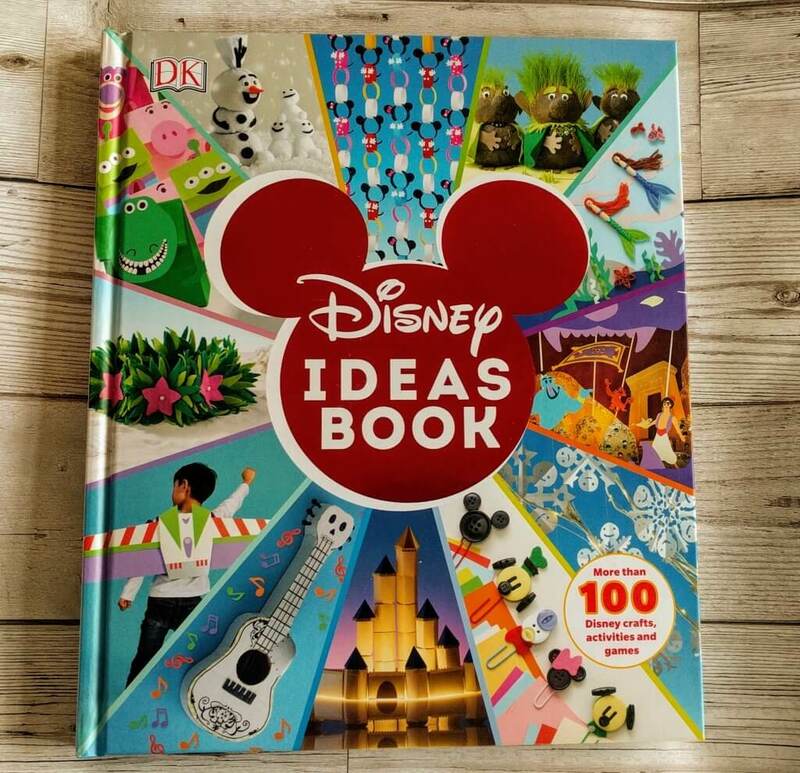 The Disney Ideas book is perfect for any child (or adult) who loves Disney, crafts and games. It has over 100 fantastic ideas to keep your little one entertained, from really simple activities, to slightly more complicated ones. Great for keeping them occupied, while creating all sorts of fantastic things, like a cardboard candelabra from Beauty and the Beast , to bath bombs by Ursula from The Little Mermaid . 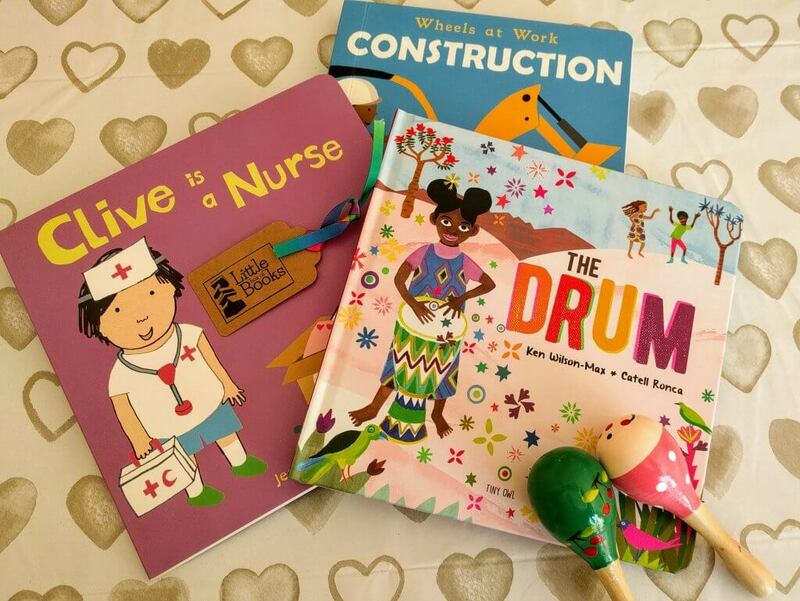 The Little Box of Books is an inspiring subscription service to books aimed at children that specialise in diverse and inclusive children’s books that smash gender stereotypes. The subscription service has box sets aimed at 0-3 year olds, 4-7 year olds, and soon will have the service available for 8-11 year olds too. It also has the option of buying it as a gift , or a one-off box, rather than the full subscription. For each box that is bought, a book is also donated to Doorstep Library, a charity that promotes reading and literacy in some of the most disadvantaged parts of the UK. Subscriptions start from £18 per month, and contain a free gift every month, as well as puzzles and activities, a learning guide, reading record and progress stickers. Perfect for a mess free Christmas and beyond are these Paint Sticks from Little Brian. They look just like glue sticks, and work in the same way, but are made of brightly coloured paints. They are easy for toddlers to use, and wipe off a multitude of surfaces! The paint sticks are designed for use on paper, cardboard, wood, and windows! Little Brian also make mini paint sticks which are great for details, and fabric paint sticks , which are perfect for doodling on t-shirts to create your own style. Brio train sets have been loved by those young and old since the late 1800’s. The latest addition to their collection is the Engine Set With Action Tunnels . The engine detects the tunnels around the track, and as it goes through them does exactly as is shown; stop, start, toot the horn, go backwards, turn on its lights. And it never harms to have some extra track too!!. No matter what your budget is for Christmas this year, there are always some fantastic presents you can get your little ones. And the most important thing is to spend some quality time together as a family and enjoy yourselves!